A woman was shopping at a shoe store when a store employee haphazardly maneuvered a dolly filled with beverages, causing plastic crates of orange juice to strike the shopper. After experiencing severe pain in her right leg, hands, knees, neck and lower back and racking up over $172,000 in medical bills, the woman filed a Los Angeles premises liability lawsuit in hopes of recouping some of her expenses. Ultimately, the premises liability attorneys at Ellis Law Firm were able to prove fault and secure a jury award of $539,000 for the plaintiff. 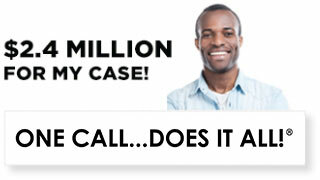 It pays to have an experienced team of lawyers handling your case. Best of all, it’s completely free to seek legal counsel and request a confidential case evaluation. A premises liability lawsuit involves an injury sustained by an innocent invitee or licensee that occurred on another person’s property as the result of the property owner’s negligence. Injuries in these types of cases range from the mild to severe. And certain defendants, such as government property holders, may be insulated from liability or protected by damage caps. The California premises liability lawyers at Ellis Law understand not only the economic hardships brought on by serious physical injuries, we also know who to hold responsible and make pay for the ordeal inflicted upon victims. We’ll fight to secure the maximum compensation to cover: past, present and future medical expenses; the cost of rehabilitation; lost wages and loss of future income; as well as pain and suffering. What should I do if I’ve been hurt on someone else’s property? It is very important that you take photographs of the accident scene and of your injuries. Seek out a professional medical opinion to get your injuries on record. Save all your medical bills in an organized place. Do not answer any questions from the property owner’s insurance company without legal counsel. Good record keeping can be extremely helpful to the success of a premises liability lawsuit filed anywhere in the state of California. The complaint: This document explains, in writing, the nature of your case. Each state has a separate list of legal requirements for what is to be included, but generally it lists: who the plaintiff is, who the defendant is, a brief description of how the injuries occurred, who is allegedly responsible, and what damages you are seeking. The summons: Once the formal complaint is submitted, a summons is issued to the defendant. The defendant then has a set amount of time (usually around 20 days) to respond to the allegations. The answer: In response, the defendant files a written response to the complaint, either admitting or denying the allegations made. Sometimes defendants can secure an additional 20 days by agreeing to waive certain legal defenses. Discovery: During discovery, both legal parties set out on fact-finding missions, interrogate witnesses under oath, and securing necessary all documents to use in a court of law. Pre-trial motions: Before a trial ensues, both parties will seek to resolve certain issues. One may try to dismiss the lawsuit based on a legal technicality. Or one may try to request a summary judgment if it’s believed there are no facts supporting the allegations. Mediation: Sometimes a settlement conference occurs prior to trial. The defendant may be willing to pony up cash to avoid an expensive, lengthy and public court battle. Often these talks occur at the end of discovery when there is little dispute over liability. Trial: Most cases take about three days to resolve. If your premises liability lawsuit wins in court, the defendant will have 30 to 60 days to pay. If the defendant tries to shirk payment responsibilities, Ellis Law will pursue a speedy resolution to make sure you get the money you’re entitled to! The property owner was negligent in maintaining the property. Your legal team will assess the situation to see what hazards may have existed at the time of the accident. For instance, negligent situations may include: supermarkets that fail to mop up wet floors, store owners that fail to repair broken steps, parking ramp owners who fail to install adequate lighting, or landowners who fail to trim dangling tree limbs. Proper evidence in a court of law includes medical records, photographs of the injury, eyewitness testimony, and pictures of the accident scene. Much of the case’s success rests upon arguing that a “reasonable level of care” was not exercised in this instance. 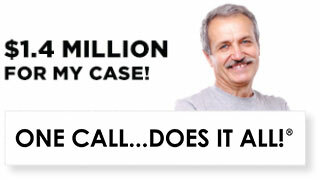 Ellis Injury Law assesses questions like: Was the accident foreseeable? Was there a past history of negligence on the property owner’s behalf? Were steps taken to warn visitors of danger? Sometimes property owners are found 100% liable, while other times a reduced award is given based on the degree of fault assigned to the property owner. Ultimately, it is up to the jury to decide how much money you deserve. Some amounts are easy to calculate; medical bills and lost wages can be tallied easily enough. However, subjective “pain and suffering” predictions are what makes some of these awards so valuable. The jury will be looking at the extent of the damages, how strong the plaintiff’s case is, and how negligent the defendant was in failing to maintain the property. If a plaintiff’s attorney has a track record of accepting low settlements and never going to trial, the defendant will place a lower value on the case. This means that the defendant, particularly an insurance company, will be more willing to hold fast at a low settlement offer knowing that the plaintiff’s attorney would rather settle than actually conduct a trial. If the defendant knows that the plaintiff’s attorney is ready and willing to go to trial, the defendant’s valuation of the case will go up. 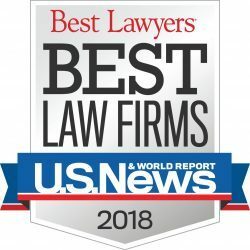 This is why it is important for an injured plaintiff to make certain that his or her attorney is not someone who routinely does very little work on a case and convinces clients to accept low settlement offers. Keep in mind, however, that it may be that one attorney handles the pre-trial litigation process and hands the case over to another should the case go to trial. Bottom line, the plaintiff should check his or her attorney’s track record, because the defense certainly will. Ellis Law Firm brings more than two decades of premises liability experience to the table. Our leading California attorneys have successfully secured over $100 million for our clients in the last five years alone. Our team is fired up and ready to go to trial for you. Our track record speaks volumes. 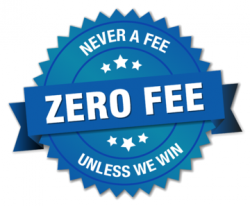 We don’t waste your time by accepting low settlement offers just to inflate our number of “wins.” We approach each case with compassion, honesty, and efficiency. 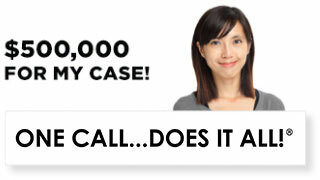 Call 310-641-3335 to speak with someone about your case.